The number of Canberra children who have been removed from abusive or neglectful parents is increasing, a new report says. 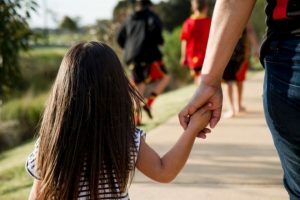 According to the Australian Institute of Health and Welfare, 494 children were in the custody of relatives, foster carers or residential institutions last financial year, up 16 per cent on the year before. Of those, one in five was indigenous. Nationally, the number of children in out-of-home care increased 44 per cent over the past five years to 34,069. The co-author of the report Child Protection Australia, Kate Valentine, said there were a number of reasons for the increase. ”Although there appears to have been a real rise in children needing protection, other factors may have contributed, including greater community awareness, a broadening of what governments regard as child abuse or neglect, and changes in child protection policies and practices,” she said. Aboriginal and Torres Strait Islander children were over-represented in the child protection system, and in out-of-home care at just over nine times the rate of non-indigenous children. ”The reasons for the over-representation of Aboriginal and Torres Strait Islander children in the child protection system are complex and can involve factors such as the intergenerational effects of previous separations from family and culture and poor socioeconomic status,” Ms Valentine said. For more on this story, including details of a Federal Government initiative to address the problem, see today’s Canberra Times.